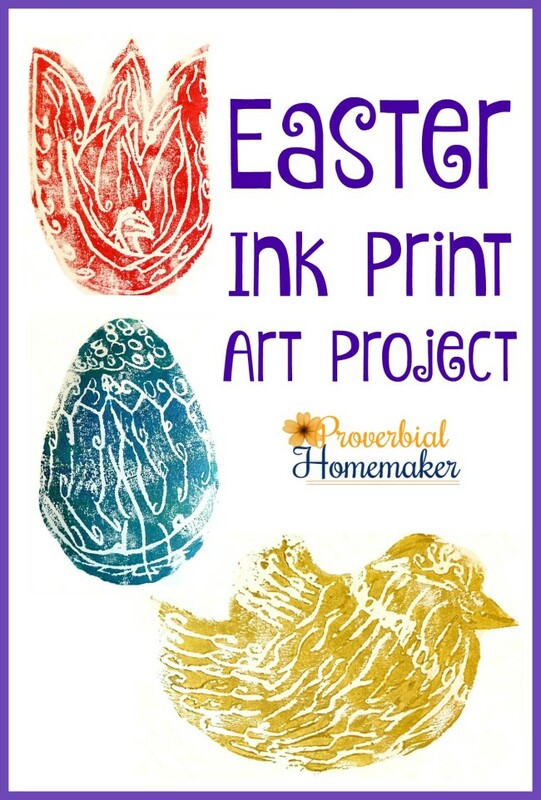 This spring ink print art is a fun project that kids just love, especially for Easter! 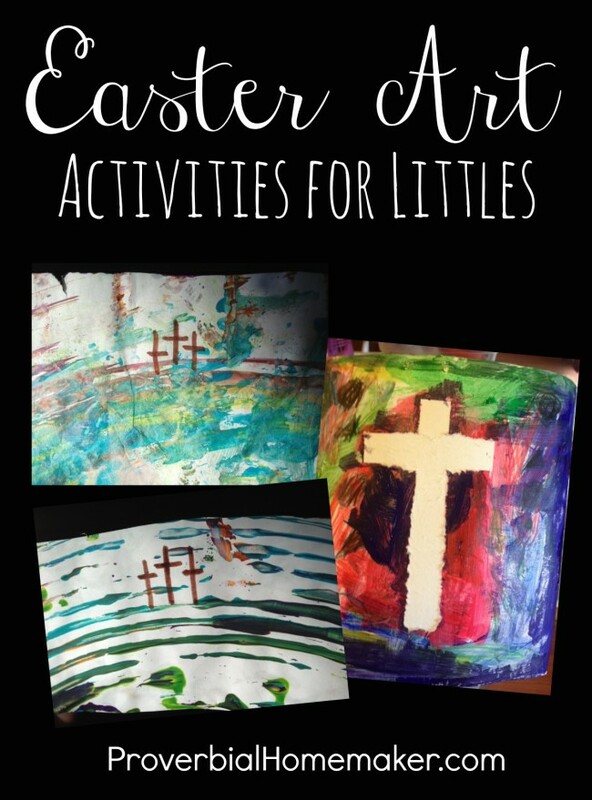 With just a few supplies you can make beautiful art prints that make great decorations for spring or gifts for grandparents. 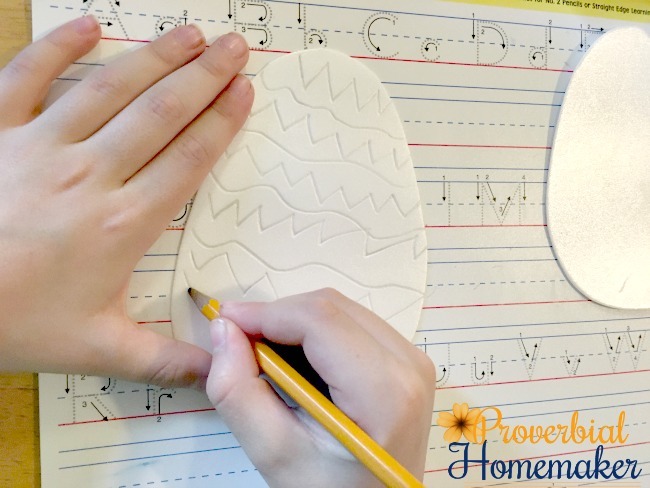 On a smaller scale they can be used to make adorable Easter cards too! 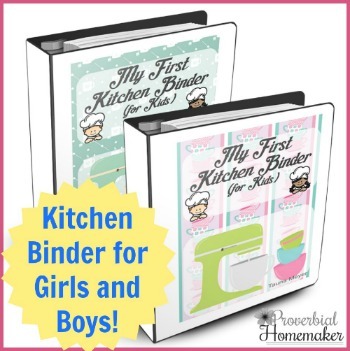 Your kids will love this simple and fun art project. 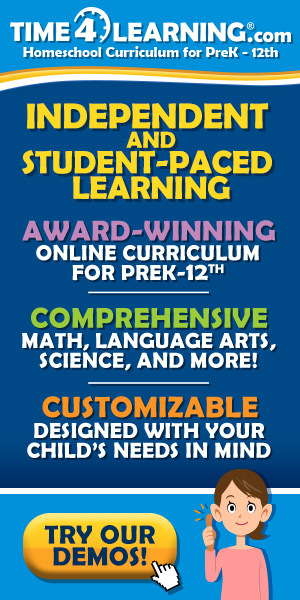 We have done ink prints a few times in the past with different methods. 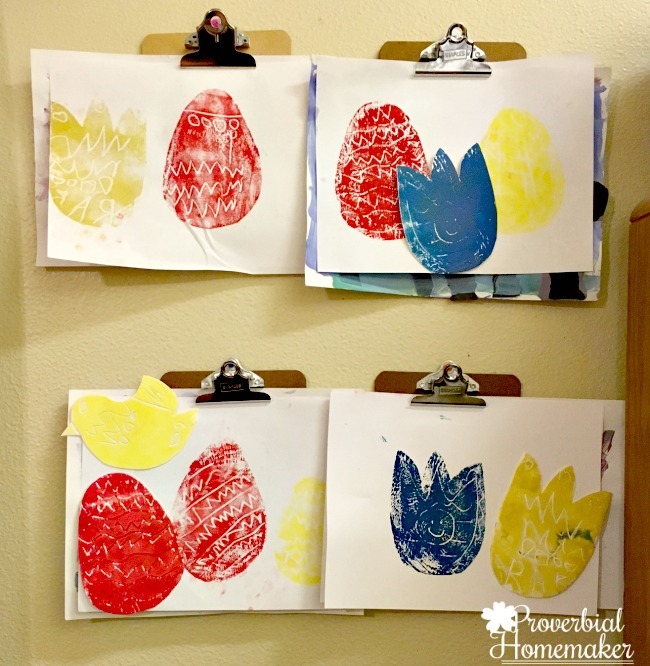 This time we changed things up and made some simple spring-themed shapes to create our beautiful ink prints. First, cut your foam sheets to size and then cut them into the desired shapes. I freehanded ours into bird, egg, and tulip shapes. I also left a few un-cut so the kids could create their own shapes if desired. The kids “draw” patterns and shapes into the foam pieces. They’ll want to press rather firmly but not go through the foam. They should make many lines and shapes and not leave it too sparse, since the drawn parts are what will show up as the white pattern on the completed ink print. 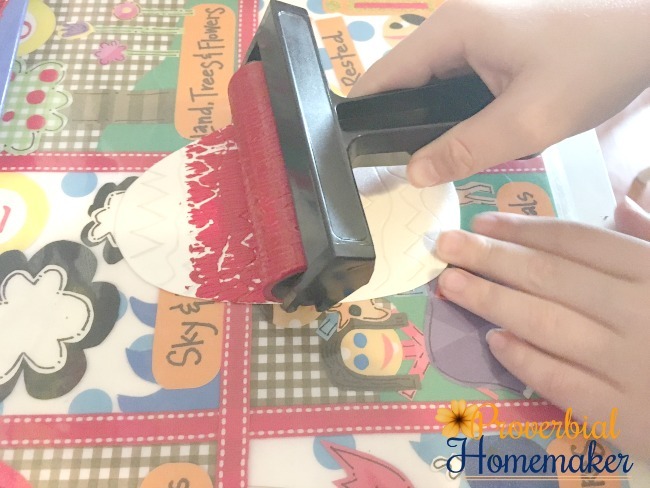 Pour some paint onto a plate and pass the roller through it to evenly coat it. You’ll have to lift it and set it a few times to make sure it’s turning enough to get an even coat. 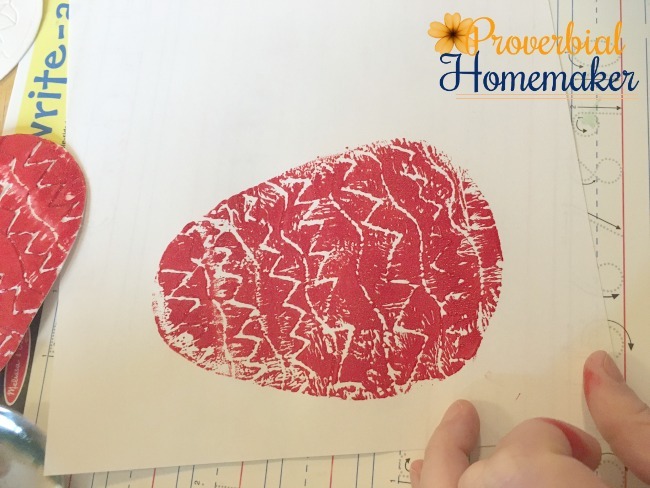 If you don’t have a roller, try using a sponge or paint brush to apply the paint, trying not to fill the grooves that the children drew. Roll the paint evenly onto the drawn side of the foam piece. Set the foam piece paint-side-down onto a white paper or card stock. 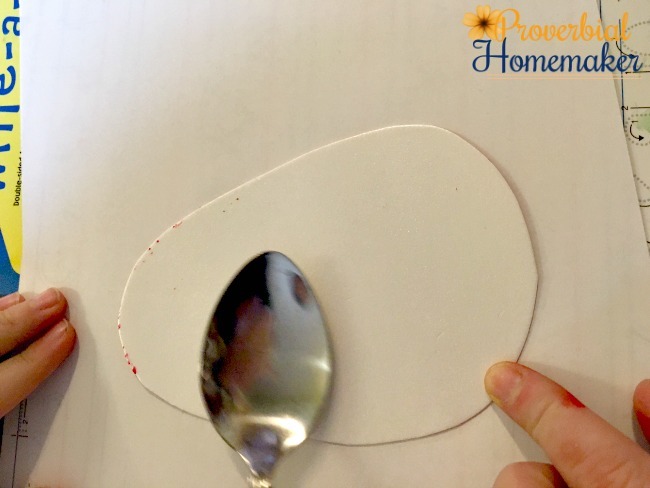 Use a spoon or cup to gently press the entire surface of the foam, making sure the full pattern will transfer to the paper. Carefully lift the foam piece straight up and away from the paper, leaving the painted patten behind. Set on a flat surface to dry. If you like, keep the foam pieces and tape them onto the completed paper.